Garland Nursery is proud to offer this planting service. A Garland Nursery Representative will be happy to assist you in you plant selection to assure all plants will grow in the designated area. Please read through this to guarantee great success with your new plants. Please make sure all plants and obstructions (rocks) are cleared from the planting site. Please obtain information regarding underground pipes and utilities for the designated area. Remember to include underground sprinkler systems too. Garland Nursery will not be responsible for any damages to pipes and cables. 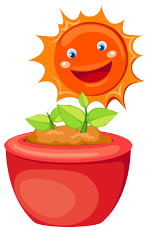 Please make sure that your plants will be within your community’s planting restrictions. On the designated date garland Nursery will come to your property and correctly plant your purchase. The customer is able to take home plants purchased or they may opt for the entire purchase to be delivered to the site for no additional cost on this day. The proper sized hole will be dug. Soil amendment will be added as needed. This will be an additional fee. Plants will be correctly placed in the hole. After refilling the hole, fertilizer and water will be added. Garland Nursery charges $85 for the first hour and $40 per additional hour of planting. Soil amendment will be charged on a per bag usage fee. Root stimulator and fertilizer fees are approximately 10% of the total retail value of the plants being planted. A mileage fee of $3.50 per mile will be added for plantings beyond a 10 mile radius. Planted merchandise will still be covered under Garland Nursery’s plant guarantee.